There’s nothing like a fresh salad full of your favourite ingredients to hit the spot. This raspberry and pear spinach salad packs a punch with the addition of red onions and honey goat’s cheese. Zesty and delicious, it makes for one satisfying main meal. The Foodie Mama’s ingredient theme for the month of September is raspberries and boy do we have a lineup of mouth watering recipes to share with you today! From savoury to sweet, the ruby red berry shines in all of them. But before you scroll down and start pinning away (because you’ll want to), I want to talk about just how easy this nutrient rich salad is to make. All you need is a bed of fresh baby spinach, sliced pears and red onions, a pint of raspberries and a sprinkle of sweet honey goat’s cheese. Mixed together, this medley of ingredients creates a flavourful delight. To make it even more magnificent, you can drizzle a homemade raspberry vinaigrette on top of it, made of crushed raspberries, balsamic vinegar and virgin olive oil. Is your mouth watering yet? I hope so! The full recipe is below for your enjoyment. In a serving bowl, place a bed of baby spinach leaves. Top with sliced pears and onions. Crumble goat's cheese and sprinkle on top. In a small bowl, crush 8 raspberries using a fork, add balsamic vinegar and oil, stir until well combined. 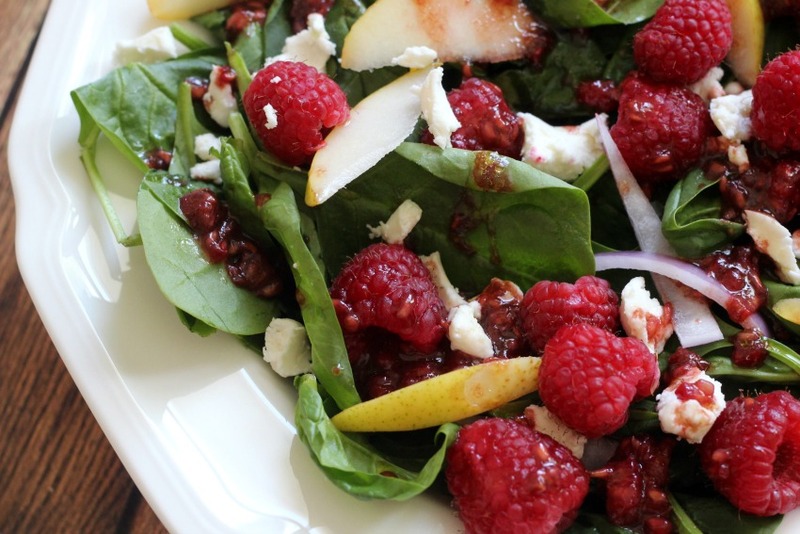 Add the remaining raspberries to the salad and drizzle with the raspberry vinaigrette. Enjoy! 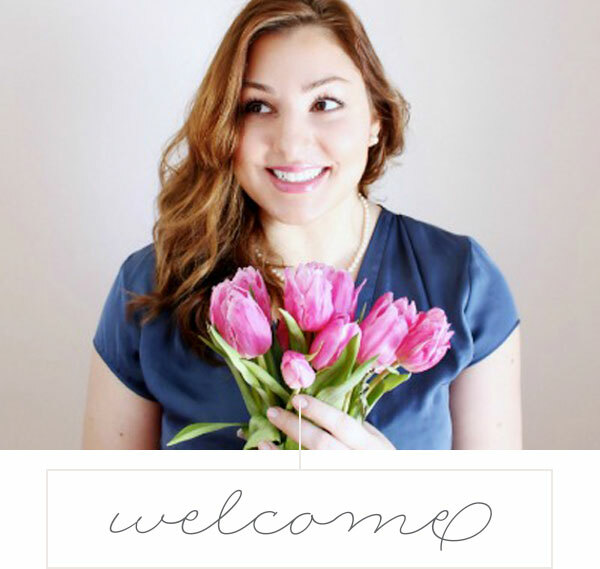 WANT MORE AMAZING RECIPES BY THE FOODIE MAMAS? YOU GOT IT! The salad looks absolutely delicious, and so do the other raspberry recipes, the pancakes are a nice change to the same boring ones I make, thanks for sharing these great recipes!! Raspberries are my favorite fruit so these recipes are perfect for me. I love the combination of fruit in the salad, it looks delicious.